In case you’re just joining me here, 5 on Friday is a post series about random things. 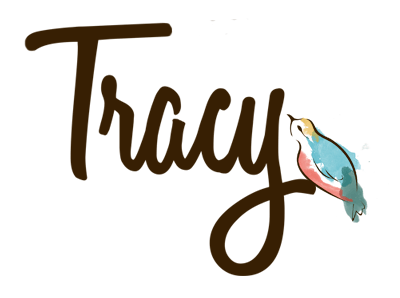 Five favorite things this week, five lovely things, five things on my mind, or five musings of some sort is what you’ll find each week. Every Friday this is the post topic. With that, here are five things on my mind today. I’d love to know your thoughts on these things or tell me about what’s occupying your head space today. So my neighbor asked me to look after her adopted wild gecko while she’s traveling. 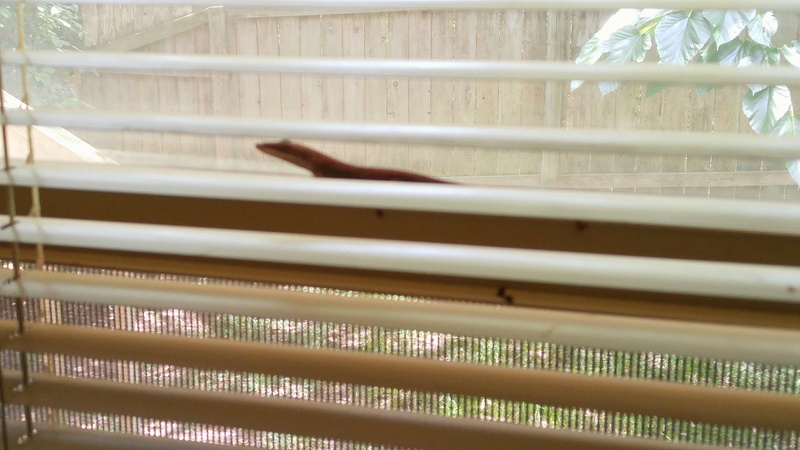 His name is George and he hangs out on the window blind. What do I feed him you ask? Fresh worms! Don’t worry, I use a plastic fork to dig em out. And George has his own water plate. Why is our nation so consumed with Pokemon Go when our world is at war? I’m deeply disturbed by this and wondering if we’re that desperate for a diversion or is our level of focus so narrow? There’s a coup in Turkey, an attack in France, the British have left the EU, racial tensions and violence in the United States are at an all time high, there’s a looming financial crisis in the US, and an amping up of war, but instead we’re looking for Pokemon. 3. 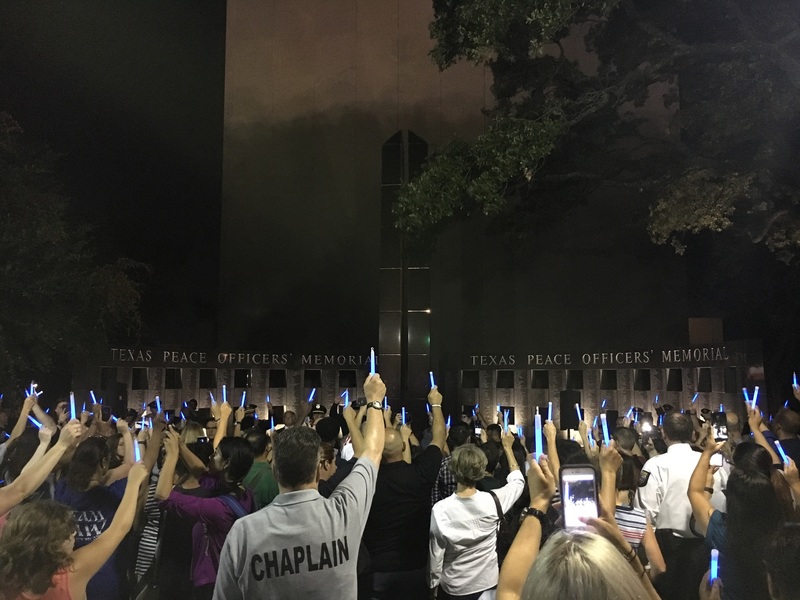 Vigil for Dallas police officers…. 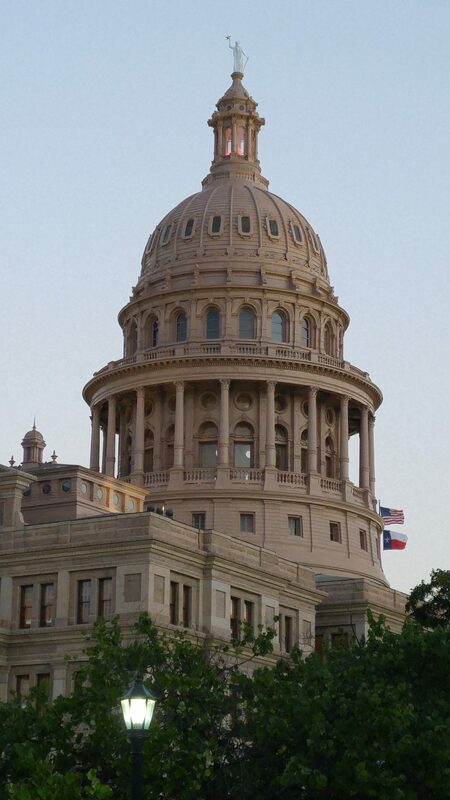 Thursday, I attended a vigil paying tribute to the five fallen officers killed one week ago in Dallas, Texas. Law Enforcement, state leaders, and politicians were on hand. The most touching part came when each of the five officers names and bios were read and an Austin Policeman laid a red rose down in memoriam. So, so touching. It finally arrived. 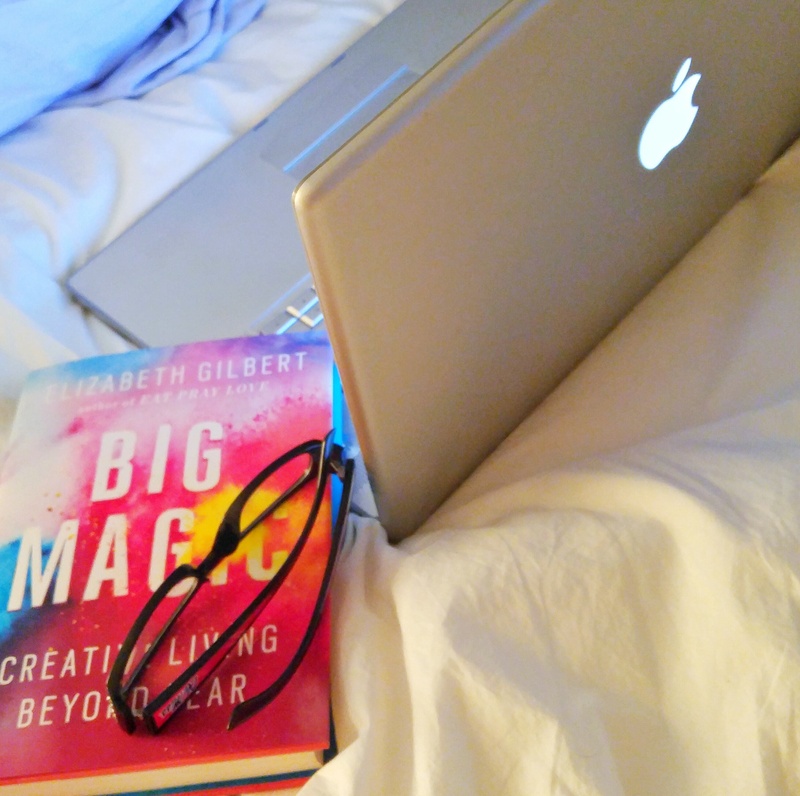 Elizabeth Gilbert’s book Big Magic: Creative Living Beyond Fear was in my mailbox. After hearing an interview with Elizabeth Gilbert On Being, on NPR, I knew I had to get her book. She spoke of choosing curiosity over fear and following your passion. I’m 20 pages in and I can’t put it down. I’m excited to get into it. I can’t believe it, I made it out of the store without doing any damage. Believe me, I wanted this and that too. 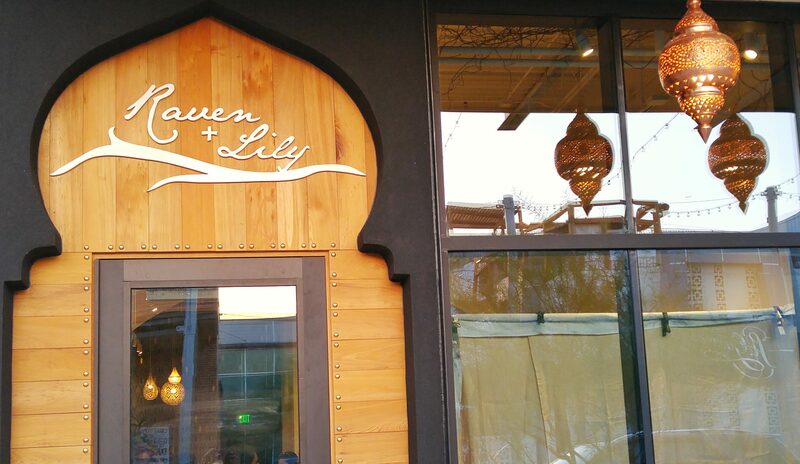 The store is dedicated to ethical fashion and empowers women through design. Don’t worry, I’ll be back to get this and that. The good news is, you can order on line from the comfort of your jammies!